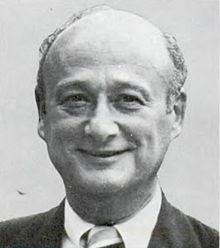 Edward Irving Koch (December 12, 1924 - February 1, 2013) was an American lawyer, politician, political commentator, movie critic and reality television arbitrator. He served in the United States House of Representatives from 1969 to 1977 and three terms as mayor of New York City from 1978 to 1989. Interview ("What Makes a New Yorker"), New York: A Documentary Film. This page was last edited on 26 August 2018, at 10:33.